Despite arriving with his left shoulder touched and betting for fewer laps, he had never achieved a better entry time than today's 1: 59.621. El Repsol Honda had led in 2015 and 2014 the first day of testing, so important at a technical and emotional level for everyone, but had never overcome the barrier of two minutes as now (1: 59.621) nor with an advantage greater than two tenths. Cumpliendo As promised, Marc bet more on his return to work for the amount than for the amount. Only 29 laps with the best record in the 26th and all between 10:40 and 14: 00. That is, they only needed to use three hours and twenty minutes of the eight hours that the track was available to all the pilots. There was only once, in 2017, with so few laps for the champion on the first day, but then he was eighth in the timesheets, a second behind Iannone. 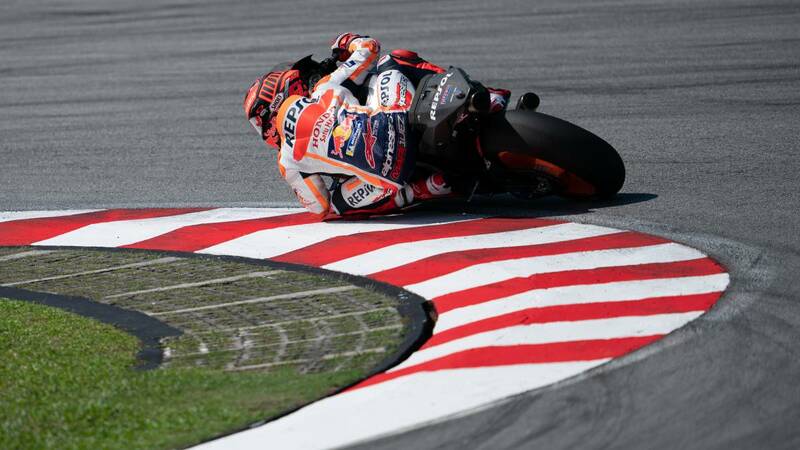 What the Repsol Honda has done on his return to the circuits does not give points for the championship, but it is a full-fledged mare, as a harsh winter in which he operated on the left shoulder to stop dislocating so easily. The first to know is him, although it plays down , but his rivals have already gotten the message that, even without being one hundred percent physically speaking, he is still the pilot to beat.